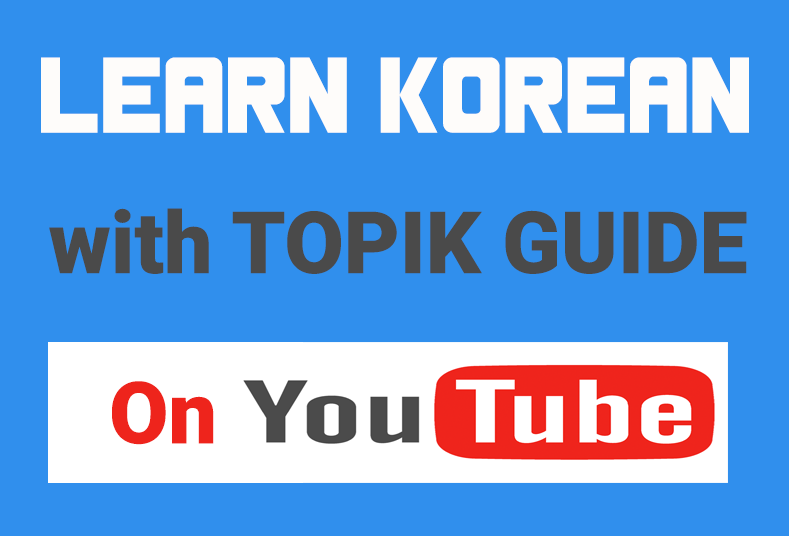 The readers of TOPIK GUIDE have frequently been writing to us for some guidance on the Essay part of TOPIK Writing (쓰기) section. So Here We are putting this detailed article about this. Most of the questions in TOPIK are multiple choice and objective type where there is, clearly, only one correct answer. You don’t even need a human to check if the answers are right or wrong. Mostly OMR recognition softwares do the job. The problem is with the subjective type questions. In these questions there is no ‘one correct answer’. Different persons can give different answers and they all may be correct. Sometimes it is difficult to even say whether the answer is right or wrong because it may be partially right and partially wrong. This type of questions generally appear in the Writing section of TOPIK. And believe me, you are not the only person who find them difficult. Evaluating this type of questions is the most difficult task for Examiners as well. As these questions are evaluated by real humanss and not the machines, there are high chances of variation in evaluation process depending upon the personality and psychological status of the examiner. And that”s why it confuses the test takers on what and how to write the answer of such questions so that it looks correct to the evaluator. Particularly, the TOPIK Essay writing part is the most difficult of these subjective questions. In this series on TOPIK essay writing, we are going to clear all those doubts. We are going to tell you exactly how TOPIK essays are evaluated and marked. The series is based on ‘model evaluation guideline‘ from NIIED, the organization that conducts the TOPIK test. We have divided the series in to 3 parts in which we will take 3 model essays each from beginner, intermediate and advanced levels of TOPIK and will analyse the evaluation system by giving detailed marking pattern of 3 model answer essays. first, you have to understand what exactly they are asking you to write. It seems quite obvious but many people do a mistake here. They just read the first line and think they have got the question and start writing. Sometimes we don’t know certain words in the question and just try to guess the topic. that’s better than not writing at all but reading the question a few times always makes your answer better. And always write about something about which you know and think in advance which words and grammar patterns you will need to write about that TOPIK. For example in this question, you have to write about ‘Someone you want to meet’. You can definitely write that ‘I want to meet some nuclear scientist from my country’ or ‘I want to meet Jesus’ but these topics would most probably demand difficult vocabulary and grammar patterns that you might not know. So it’s always better to chose something simple like ‘I want to meet an old friend/ my girl friend/ my grandma’. you know a lot about these people and it would not be difficult to write 10 simple sentences about them. Second, if you read the question properly you will find that they always ask the question in 2 or more parts and they want to include something about all those points in your essay; even a single sentence will do. For example, in this question they ask you- 1)Who is the person you want to meet? 2)Why do you want to meet him/her? 3)What do you want to do when you meet him/her? It’s very easy to forget one or more points when writing. So, always cross check whether you have included all of them or not. You don’t need to equally cover all of them. You may answer any two points in just one sentence and write the rest of the essay about the other one point. Third, i think you must already be knowing the importance of coherence in a writing. Just try to keep all your sentences connected and relevant, don’t jump to another topic suddenly, make the transition smooth. In the second part (Essay Development and Structure) they see whether overall essay looks natural or not. Here the thing I want to emphasize is ‘Focus on the beginning and closing of the essay’. many a times, we are short of time and we leave the essay in between; abruptly. When you know you don’t have time to write more just write a finishing line and stop. That single sentence can get you 2 or more marks. For example a simple and good finishing sentence for this essay may be like: 그 친구(or whoever)를 빨리 만날 수 있으면 좋겠다. or 그 사람을 정말 보고 싶다. or 제가 좋아하는 그 사람 만날 수 있을까? The second important thing is- Don’t try to make your sentences too complex by putting a number of grammar sentences. Most of language learners think a long sentence with many grammar patterns and difficult words will put a good impression on the examiner. But believe me, most of the times it’s the opposite. small and simple sentences are natural and pleasant to read. For example: 제가 만나고 싶은 사람이 제 할머니입니다. 할머니를 만난 지 정말 오래 됐습니다. 그래서 보고 싶습니다. is much better than 제가 만나고 싶은 사람이 제 할머니이고 할머니를 만난 지 정말 오래 돼서 보고 싶습니다. In the third part, they check your real Korean language ability. I mean the use of grammar, vocabulary etc. Here again don’t think difficult words and grammar are better. The evaluation of TOPIK papers is not comparative. So it does not influence your marks if someone has written a really great essay with native Korean level grammar and words. If you have written a good essay with proper use of beginner level vocabulary and grammar, you can get all 30 marks. But yes, the sentences should not be unnaturally simple and short. For example: 제 친구는 A입니다. A는 미국에 삽니다. 저는 A를 만나고 싶습니다. A가 좋은 사람입니다. 같이 영화 보고 싶습니다. This type of unnaturally simple writing will probably not get you 30 markes even if it has no mistake. We will start with the Beginner Level. 만나서 무엇을 하고 싶습니까? 여러분이 만나고 싶은 사람에 대해 쓰십시오. I am leaving you with three example answer essay. read properly and think how you would mark them if you were the examiner. In the next post we will see how the TOPIK evaluators marked them. Hello, thanks for this post.İ think first one is best, right Because second one has some mistakes and third one is not good How abkut this essay’s points. İ wonder bexause i will get this exam next year.그래서 열심히 공부 합니다. 정말 감서헙니다. 이것은 너무 도와주신 글인데 감사합니다 선배님. hello i hav a doubt..
see topik test are conducted 4times in evry 1year…and as for me i will be giving my test in the 40th topik…i have 3years…but i live in india and here the educational sessions end in june…so my point is that i wont be able to make it in the beginners level 1 test which is conducetd in january…should i wait for another year or shud i give level 1 topik in july??? Great to know that it helped… Thank you. I am preparing for the intermediate level TOPIK, and I was just wondering if the 400-600 characters are counted with or without space?? Do you know anything about this? I was sure it’s without space (because that’s how usually it is at language tests), but then just to make sure, I put a sample essay from the official TOPIK paper and copied it to Word, to see how many characters it is. And it turned out that it’s 353 characters without space, and 456 with space… So I’m kind of confused now :/ Do they count it with space? It makes a huge difference actually…. I would like to know if you have to write the essay using the ㅂ니다 form. I have been learning Korean on my own and talking to my friends. We usually just use the polite speach ending in 요. But Since this is a test I guess I will have to use the other form right? Good morning teacher.nice to meet you in your team chart. am from Cambodian now i stay in Cambodian too . but i want to test Korea exam how can i do it because am so far from here. so u can advice me how to do? am looking for you reply me back .thank you so much. i want to study more in Korea but am so poor so i don’t have money to study at there. if you have a good advice for me please tell me …i can test from internet or anther test .thank you.good bye see u reply soon..from Sophea Cambodia..good luck for you. 많은 분들이 한국어를 공부하시군요. 다들 좋은 결과 얻으시길 희망합니다. ! hello, thanks for this post i am preparing 31th intermadiate topik exam and i wondering about essays topik? thanks for this information..now when you are told to write about a countries love or parent love what are the essential things to write??? It depends on the level..
Also, any tips on how to get Level 6? What kind of essay structure are they looking for to get level 6? If I get all points or at least enough points to reach level, is that how I can get level 6? Example 3 also has a bit of errors. I could be wrong, but I think those are some errors.